The PKI 7535 is a welding apparatus designed for underwater welding and flame cutting. The underwater welding electrodes are provided with a special coating. This coating prevents the absorption of humidity and the dissolution of the electrode covering and thus the development of an uncontrolled current flow. The electric current flowing in water is directly proportional to the voltage and decreases with the voltage. The PKI 7535 operates with a no-load voltage of approx. 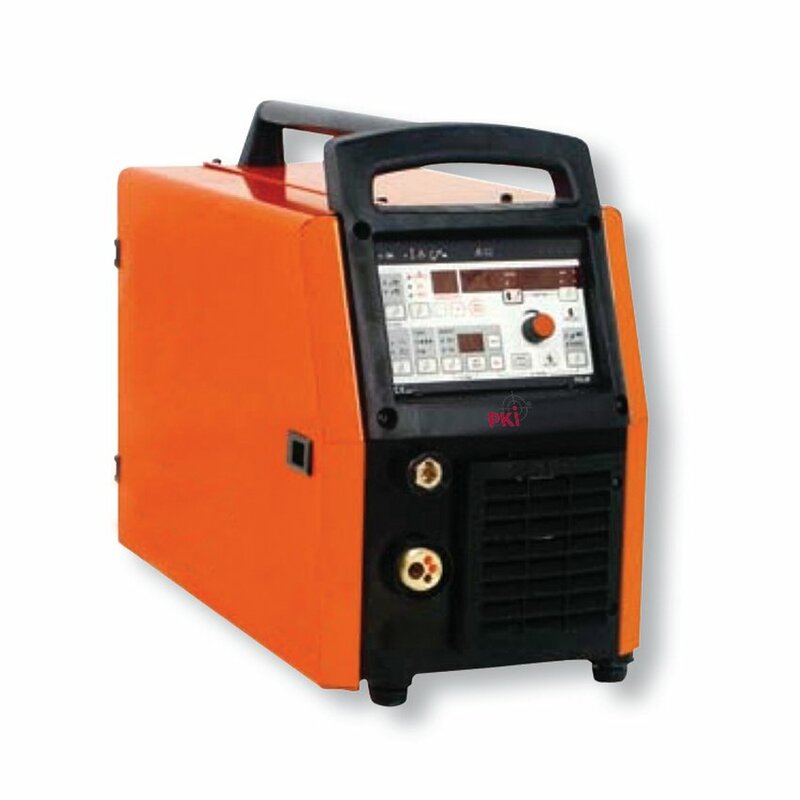 12 V. The voltage increases when the bar electrode touches the workpiece and the arc ignites. A control circuit in the device exactly controls the required parameters. Failure to observe these parameters results in an automatic shutdown. During flame cutting, the power demand (300 – 400 A) increases to such an extent that flame cutting is performed with so-called exothermic electrodes.